This year, the IPED approached the government administration proposing the publishing of a data-set with all changes in the current address registrations throughout the country in the period January, 2011 - May, 2015. This is a key information related to the voters` rights and obligations for the upcoming local elections. According to the Electoral Code each voter who wants to vote in a place differing from his/her permanent residence has to have current registered address at the new location for at least 6 months prior to election day. Thus, in the months February - April we witnessed numerous changes in the current address registrations for large groups of people (repeatedly reported in different media outlets). This prompted us to question their validity and whether that was an attempt for manipulating the electoral process in certain places and altering the electoral outcome. On 19th of June, on a press-conference, the Institute for Public Environment Development presented the results of an intermediary research and analysis of the official data of General Directorate “Civil Registration and Administrative Services”, published on the 18th of June, on the Government platform for Open Data. Where, when and how many registrations were made in order to influence the election outcome of the forthcoming local elections this year? Which are the locations where most of the current address registrations were made prior the elections? Are there any "voters' reservoirs" - where is the "electoral tourism" generated from? 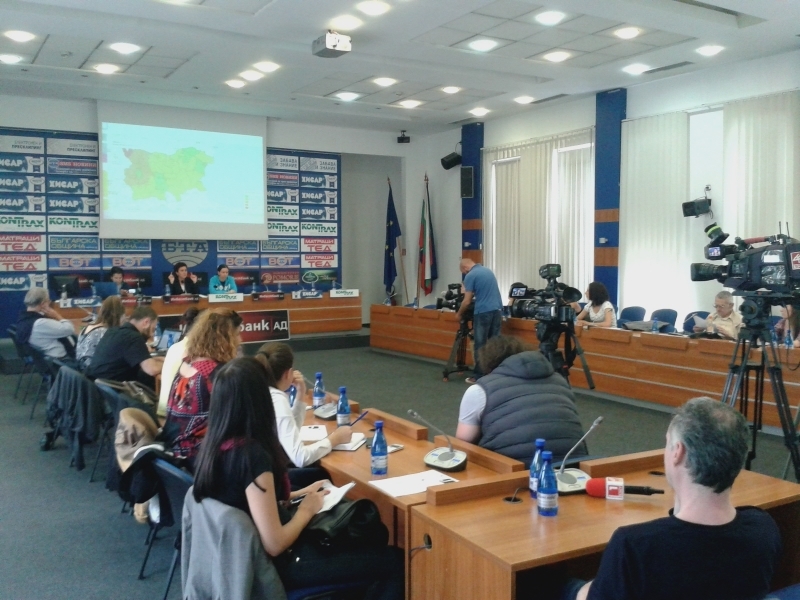 The controlled vote for mayors in the smallest administrative territorial units in Bulgaria will also force the "electoral tourists" to vote for mayor of the respective municipality and the municipal council candidates, indicated by the vote-dealers. This type of fraudulent practice can corrode the entire electoral process. You may review more information about the conducted research of IPED HERE. Along with the analysis, in the attached files you will find the a list with information about the current address registrations, conducted between the months of February and April in 2014 and in 2015. In addition to that, on our web-page for voters' education http://azglasuvam.net you can view several interactive maps, revealing the current address registrations of citizens for all 28 regions and 265 municipalities of Bulgaria. You may also review our initial risk-mapping of the small administrative units, where "electoral tourism" may severely compromise the elections.